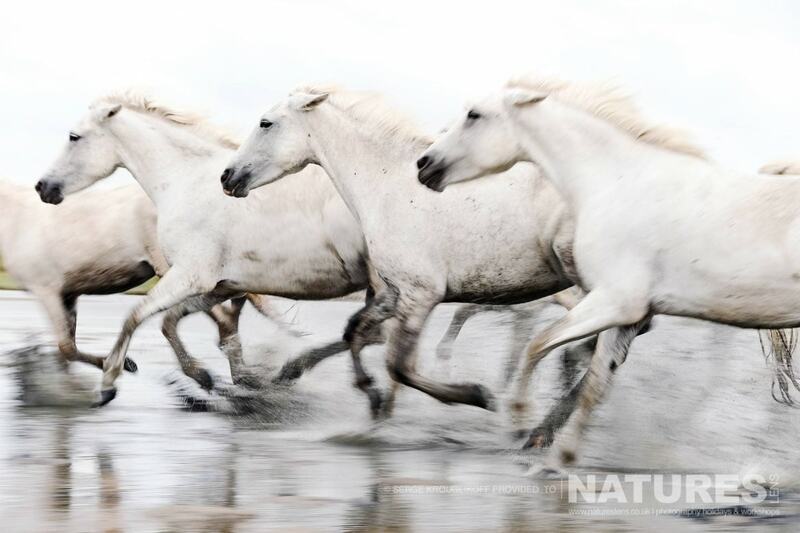 Join NaturesLens & Camargue Specialist Photographer, Serge Krouglikoff, to witness the raw power & natural elegance of the stallions & horses of the Camargue. 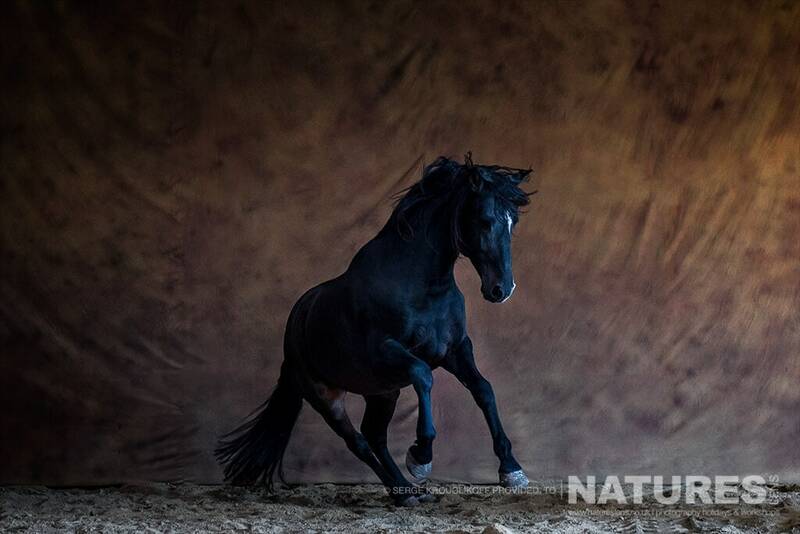 Over the course of 5 days, we will have 7 photography sessions with these stunning horses & their Gardians, the men on horseback who watch over the wild horses who have inhabited the wetlands for generations. 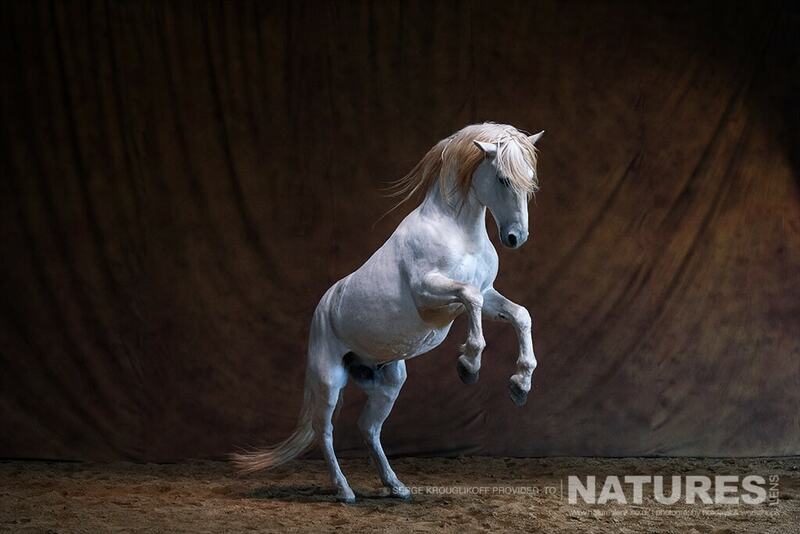 We have included a special portrait session, to be conducted during one of the afternoon sessions of the trip, this will include both the white stallion & the black stallion, against a moody backdrop, using both lighting & natural daylight, making for dramatic feisty close-up shots. 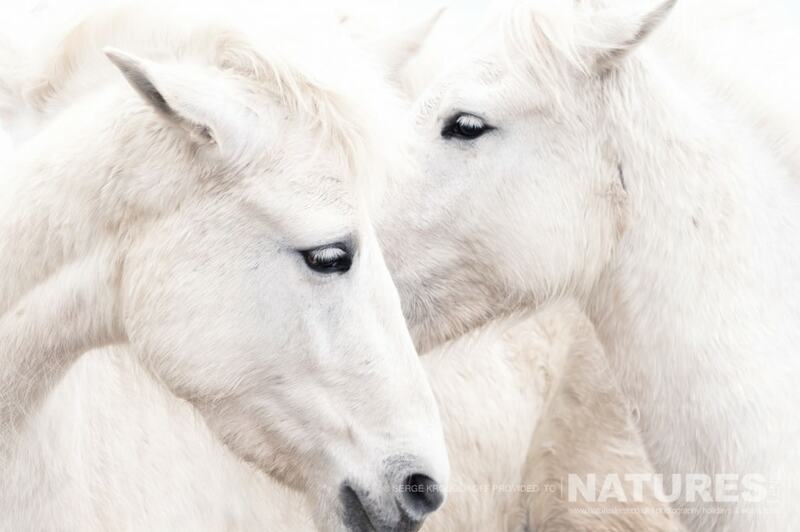 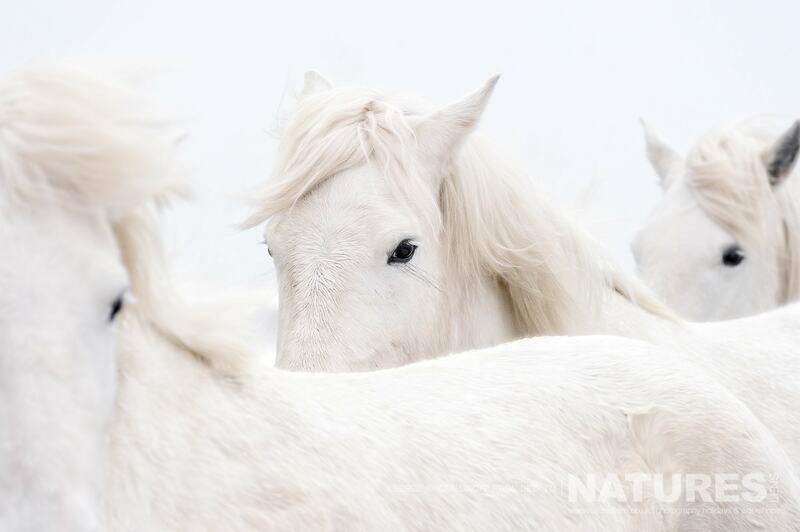 DO YOU WANT TO PHOTOGRAPH THE WHITE HORSES OF THE CAMARGUE FOR YOURSELF? 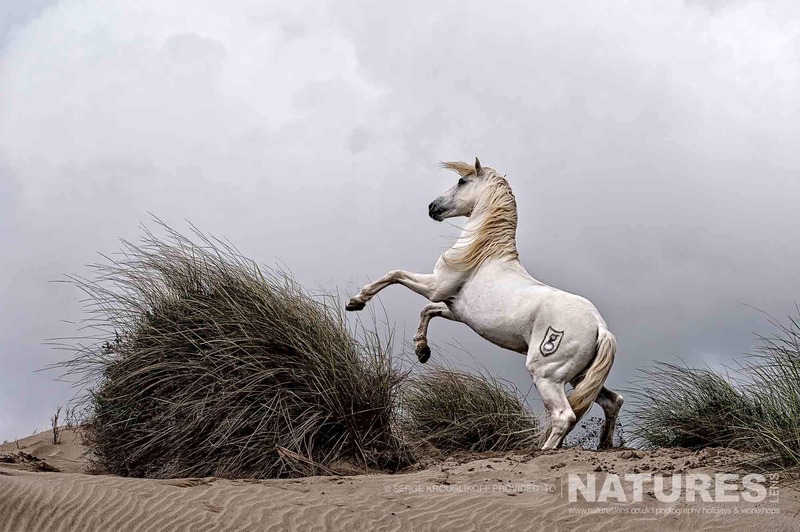 We have an opportunity in 2018 for you to undertake photography of the White Horses of the Camargue in the dunes, beaches and surf of the Camargue for yourself, the photography holiday costs £2099 each participant, this price excludes air travel to & within France itself – all ground transportation within France, accommodation & guidance/tuition is included, the dates for the White Horses of the Camargue Photography Holiday are September 14th – 18th, 2018. This entry was posted in announcements, workshops, worldwide tours and tagged camargue, photography holiday, white horse. 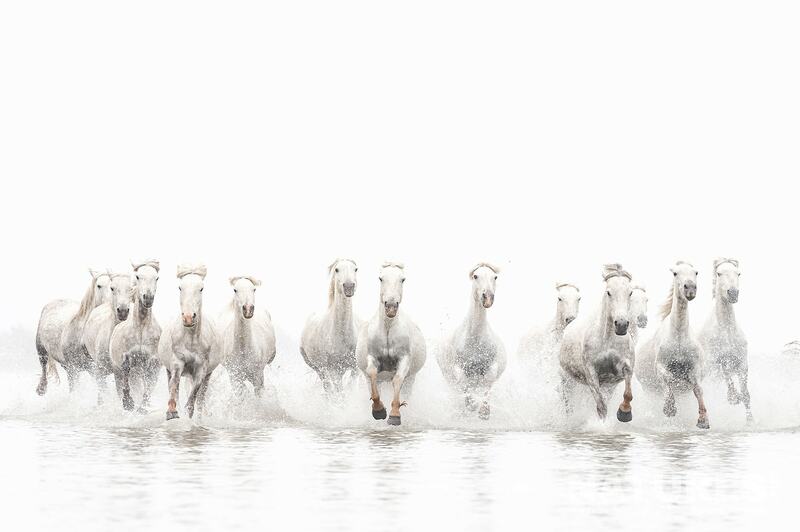 Whatever your query regarding our photography holiday, Photograph the White Horses of the Camargue in, please fill out your details below & we will get back to you.